This past weekend, I once again had the pleasure of flying out to Seattle to ride some Urals. While I was kicking around the office filling out the usual paperwork—waivers, safety info, etc.—I saw this thing sitting proudly in the lobby. A vision in blue and white, it was a stripped-down, semi-streamlined land speed racer built from an old Ural Tourist. Guys, it was amazing. 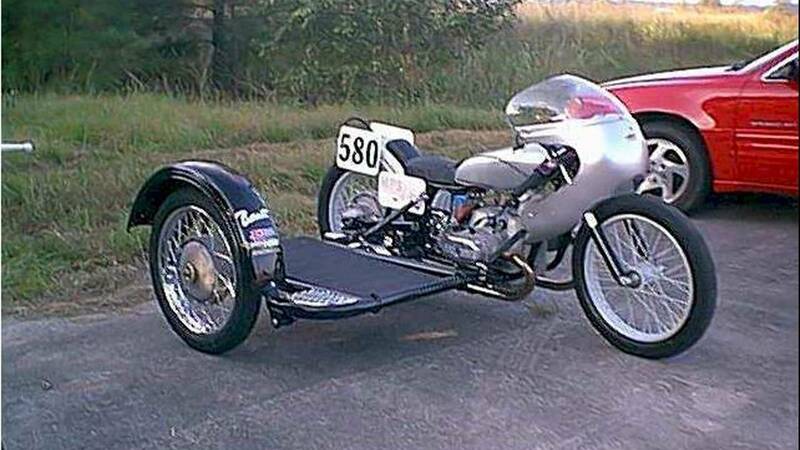 Seriously, a Ural land speed racer? Derived from a bike built in the Bad Old Days when Urals came in crates, pre-rusted? Seriously. Not only did it run Bonneville, but it won. 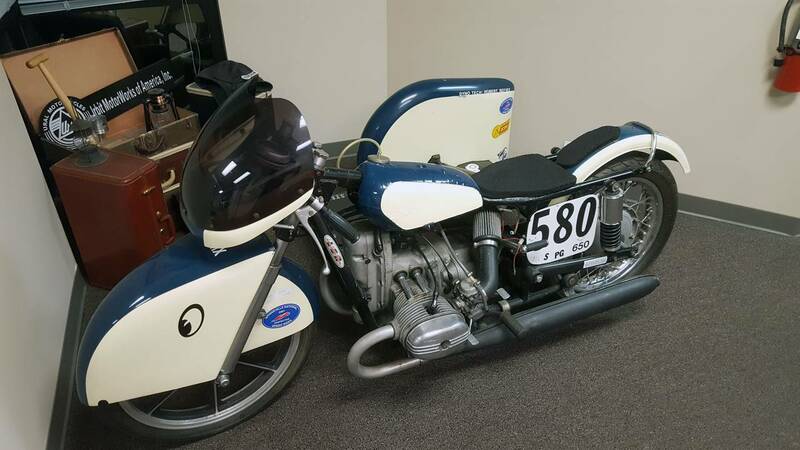 Caveat: Information on the Ural land speed racing team and its bikes is, shall we say, vanishingly rare. For my research, I used primarily the team's old website which is an absolute disaster an interesting artifact of late-90s/early-aughts amateur web design. The pictures are small (way small, in fact. Sorry about their quality), the formatting is poor, and the information is scattered, confusingly presented, and largely lacking. That said, I did what I could to suss out the wheres and whyfores. 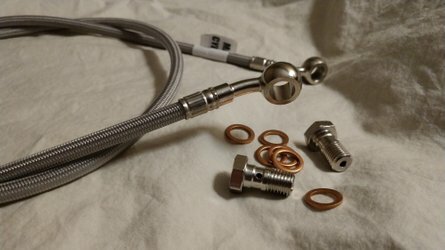 If I got anything wrong, and I probably did, mea culpa. If you know better, or if you were there, let me know in the comments so I can correct things. Now, on with the show. The racer I saw at Ural HQ, called the Phoenix, was fielded by the Siberian Speed Team back in 2001. The whole idea came out of a joke circulated on some late-90s Ural-centric message boards that, once it got going, kind of took on a life of its own. The team came together organically. Headquartered at Abbotsville, South Carolina's Cheek Cycle—which was, at the time, Ural America's east coast distribution center—the team consisted of Crew Chief Steve Jackson, engine builders Aubrey Cheek, Grant Harris, and Sid Pollard, pilot Fredda Cole, and assorted support staffers spread all throughout the country. 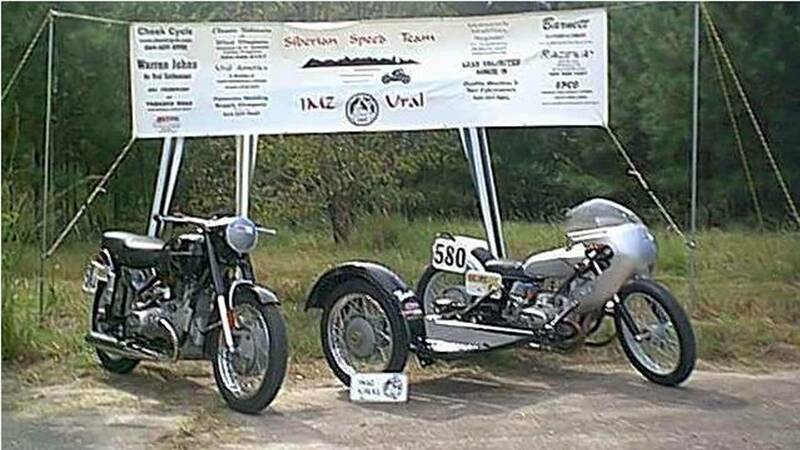 The team raised money through various message boards and mailing lists, Ural America supplied bikes, engines, frames, parts, and tools, and the Siberian Speed Team was off to the races. The ultimate goal? 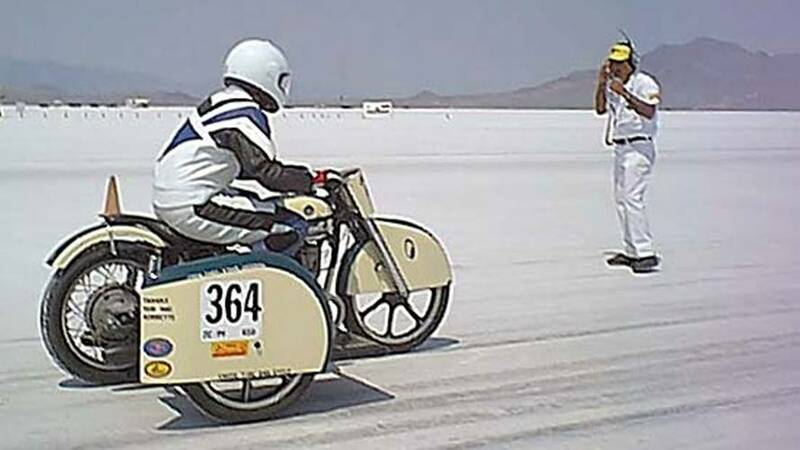 A land speed record in the 650cc Pushrod Gas Side Car class at Bonneville. SST started its quest in early-2000 with the goal of running at that year's Bonneville Speed Week in October. 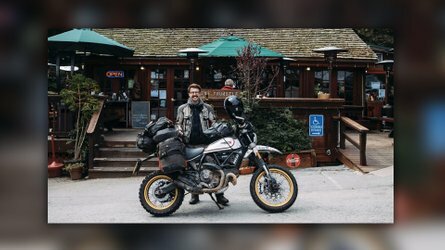 The team had two bikes—a Solo (remember the Ural Solo?) and a sidecar rig. The Solo was left largely stock, but the sidecar rig underwent serious massaging by Cheek and associates. 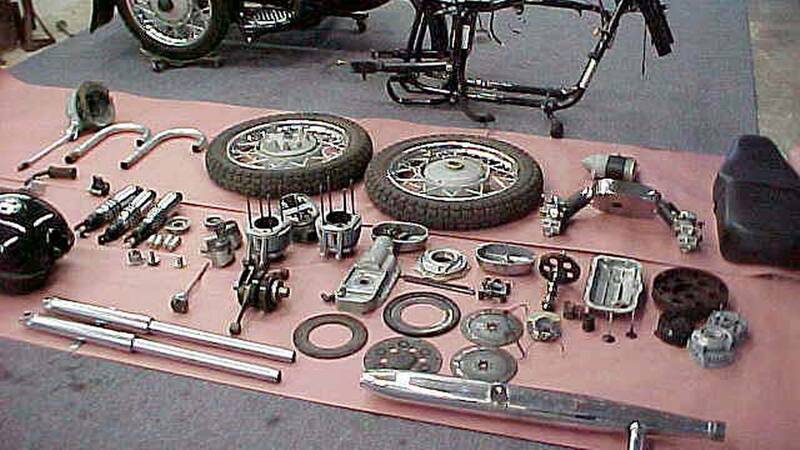 The suspension was tuned, the bike was stripped down for lightness, various gearing was tried out, a fairing was mounted, carbs were tweaked, a heavier-duty oil pump was installed, and the crank, cam, and heads were modified. Things were going great for SST. In late September of 2000, both bikes were taken to the speed trials in Maxton, North Carolina. 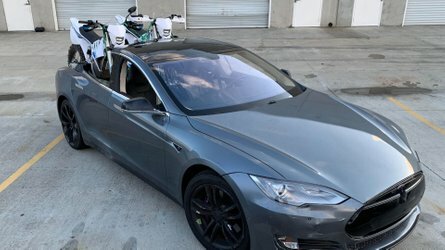 Both bikes ran well, but neither broke 100 miles per hour. Both Cheek and Cole qualified for their speed tickets, a requirement for running in the big show at Bonneville. Despite not breaking 100, things were looking up for SST until disaster struck and almost killed the dream. 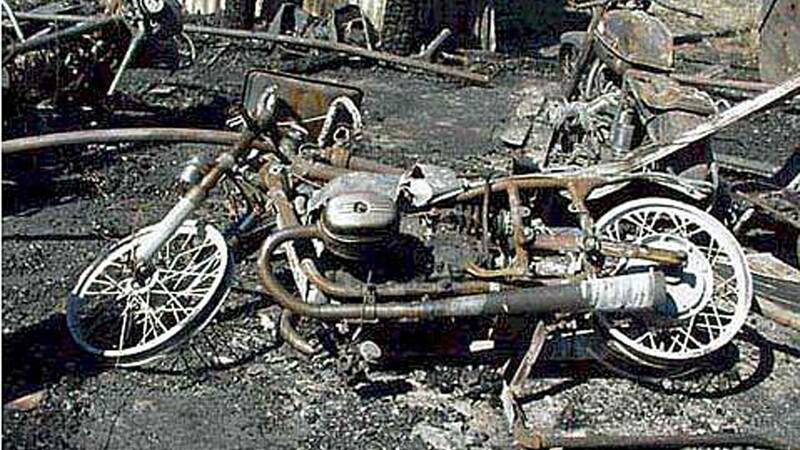 On October 12, 2000, a massive fire swept through Cheek Cycle. 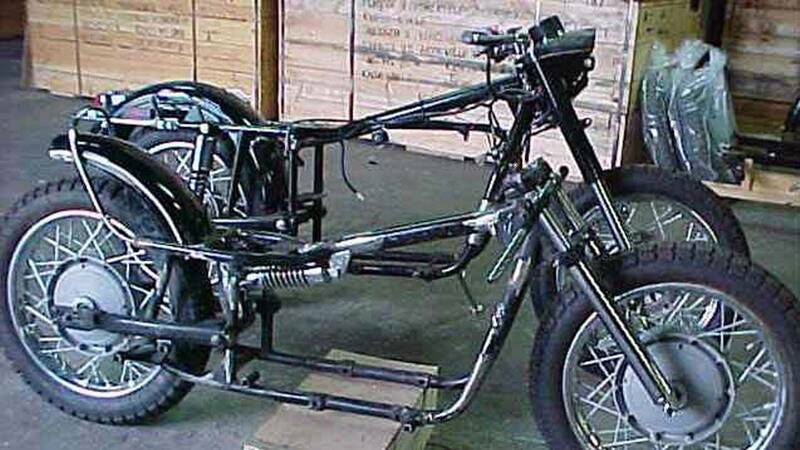 Both land speed bikes were destroyed along with tools, equipment, and thirty brand new bikes owned by Ural America. While it was obviously a major setback, and no one would have blamed the team for throwing in the towel, SST decided to soldier on and shoot for Speed Week 2001. 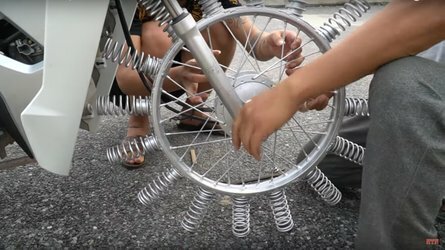 With a new bike and renewed spirits, SST entered 2001 ready to break some records. On February 4, 2001, SST announced that it had set a land speed record with the old sidecar rig at Maxton during the speed trials. Then, in April, the team set two new records at Maxton—92.688 miles per hour in the Pushrod Gas, 650cc, 4-stroke with Sidecar class and 100.671 miles per hour in the Pushrod Fuel, 650cc, 4-stroke with Sidecar class. Not too shabby for a team still smarting from a tragic loss of bikes using a largely untested new machine. Finally, after more than a year of hard work and massive setbacks, the Siberian Speed Team rolled its new land speed racer The Phoenix on to the salt at Bonneville at Speed Week. SST killed it on the salt. Over the course of the week, the team set four land speed records on The Phoenix. One, with Cheek at the helm, topped out at a whopping 117.342 miles per hour. On a carbureted, 650cc Ural. You guys, that's a phenomenal speed for that bike. After all was said and done, and the Phoenix was enshrined in Bonneville's record books, the Siberian Speed Team did something nearly unprecedented—they called it quits. Having met their goals, the team decided to go out on top and disband. I can't blame them, they'd done everything they'd set out to do and they'd done it against all odds. So good on them. 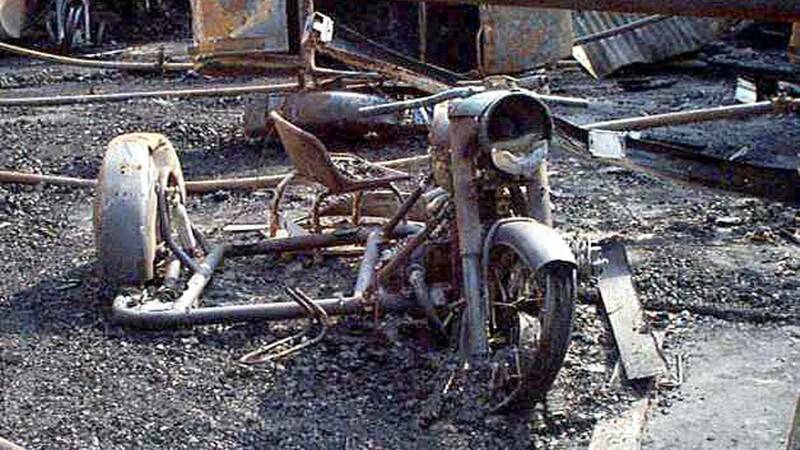 I have no idea what happened to the bike between Speed Week 2001 and when I saw it last Friday night at Ural HQ. As far as I remember it wasn't there in June, which was the last time I was at the office. I'm glad it's still around, though. Maybe one day it'll run the salt again. PS: If you know anything about The Phoenix's whereabouts over the past 17 years, or why it now has a different tank than is shown in the pictures, get at me. I'll post updates on this story if I find out more.